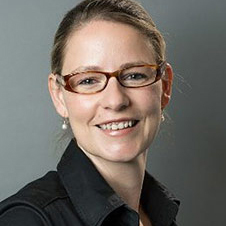 Hilke Plassmann is Associate Professor of Marketing at INSEAD, where she has been since September 2008. She is an Affiliated Faculty at the Cognitive Neuroscience Unit of the Ecole Normale Superieure. She has been Visiting Faculty at the Wharton School and at NYU's Stern School of Business. Before that, she was a postdoctoral scholar at Stanford University and the California Institute of Technology. She earned her PhD (Marketing and Neuroscience, Dr. rer. pol.) from the University of Muenster’s School of Business and Economics in 2005. Hilke’s primary research areas are consumer decision-making and its strategic marketing implications at the intersection of neuroscience, psychology and economics (e.g., influence of marketing actions on the consumption experience, the neural basis of different decision-making related value signals, and ways to alter/self-control/regulate these signals). Her research has appeared in leading academic journals such as the Proceedings of the National Academy of Sciences of the USA, Journal of Marketing Research, Journal of Consumer Psychology and Journal of Neuroscience. It has received international newspaper, radio, and TV coverage by, among others, CNN, ABC News, Fox News, Arte, Galileo, National Public Radio, The New York Times, The Economist, The New Yorker, Science Magazine, Scientific American, Harvard Business Review, Focus, Spiegel, and Absatzwirtschaft.